Taking your CBT test in Uxbridge is the first step to getting out onto the open road on two wheels and enjoying the freedom that two wheels provides. RideTo currently has several CBT centres in the Uxbridge area, with the closest located in Feltham. West London Motorcycle Training have a good choice of automatic scooters or manual motorcycles, and provide all students with a helmet and gloves for the duration of the training. Alpha Motorcycle Training are a long established school in the north west of London, just a short walk from North Wembley station. They’re MCIAC Approved, so they offer some of the best training in the UK. Heathrow Motorcycle Training are based in Hounslow and boast a spacious training ground not far from Feltham station. The instructors are all serving or ex-police officers, so you can be sure they know their stuff. Heathrow Motorcycle Training are also MCIAC Approved. 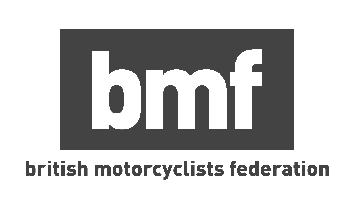 CBT stands for Compulsory Basic Training, and it’s the most basic level of training you need to receive in order to ride a scooter or motorcycle on the UK’s roads. A CBT takes just one day, and there is no test, so you don’t need to panic. The day will start in the classroom, where your instructor will teach you how to handle and control a motorcycle or scooter. They will also test your knowledge of basic highway code and teach you all about the safety equipment you will be using during the day. You don’t need to worry about owning your own helmet or other gear - most schools will provide these for your CBT, but it’s best to call before to make sure. You will get your first experience of riding a bike on the school’s off-road training area, where your instructor will take you through some set routes that mimic real-world scenarios. Once your instructor is happy with how you are riding, you will progress to the final part of the training. For the final part of your CBT you will head out for a two hour road ride with another student and the instructor. You’ll take it in turns to lead the group so the instructor can assess you both equally, and once you return to the school you will be presented with your CBT pass certificate. For a more in-depth description of what is a CBT test then RideTo has you covered. Any UK citizen aged 16 or over is eligible for a CBT - all you need is a valid British passport and valid UK provisional licence. If you’re 16-years-old you will only be able to ride a scooter or motorcycle with a maximum capacity of 50cc and restricted top speed of 30mph. Once you reach the age of 17, you can move up in capacity to a 125cc machine with a maximum power output of 11kW. You cannot ride a bike over 125cc unless you take and pass a full motorcycle licence. Unlike a full motorcycle or car licence a CBT must be renewed every two years if you want to continue riding on the roads.